Manor Lakes, home of the best train station in the state. Living in Manor Lakes just gets better and better. We were delighted by the arrival of the new Wyndham Vale train station in June last year, which has resulted in easier commuting to and from Manor Lakes for our growing community. Even more good news, the recent RACV On Track survey (view here) has rated the station as the best in the state. 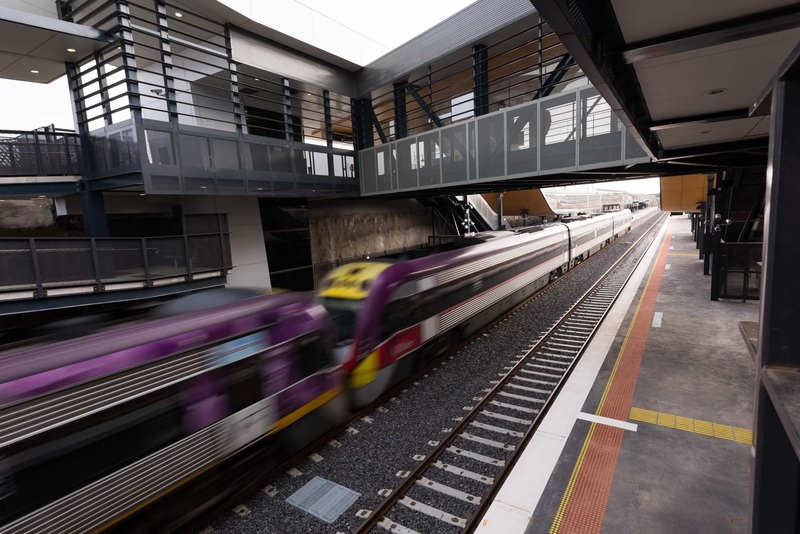 The result of the survey highlights commuters’ satisfaction with the facilities that are available at Wyndham Vale station including car parks, shelter, toilets, lifts, and ramps. News reporting also cited that the station is well connected by buses, cycling and walking paths. These facilities obviously have set the station above the rest. Dennis Family Corporation has long envisioned for a train station to be located within Manor Lakes and therefore planned and constructed the estate’s extensive walking and cycling route with direct access to public transport for the convenience of its residents. “The connectivity and ease of access between the new train station and the network of cycling and walking paths have added to the fabric of the lifestyle enjoyed by the Manor Lakes community,” said Dennis Family Corporation Chief Executive, Peter Levinge.